Go an hour into most sword and board RPG’s and you’ll soon find yourself to be the child of prophecy, or at the very least destined to play a role in the name of unseen forces. An hour into Deliverance and I found myself slinging shite onto the house of a drunkard who had badmouthed our king. Kingdom Come offers players a different kind of adventure, and that’s ok. Rather than have them culling the undead or clearing fields of low level monsters, the first few hours of Kingdom Come are spent living your life. Player’s oversleep, have breakfast, then go about on behest of their father to run errands. While the calm before the storm is a common trope before the evil dragon attacks, that dragon never arrives, and it never will. Kingdom Come decides to forego the fantasy aspects in traditional RPG’s and focus on a more realistic take of what life was like in medieval times. That life can be dull to some, but incredibly peaceful to others. The first few hours I found myself growing restless at the lack of conflict but as time went on I found myself getting comfortable and just enjoying the life of Henry, our protagonist. There’s a charm in how mundane Henry is, being that he’s just the son of a blacksmith. Henry isn’t some mysterious wanderer with a dark past or some savant adventurer that is chosen by providence. Instead Henry is barely a man who likes to spend his days drinking with his mates and flirting with the local barmaid. While the lack of “adventure” may come off as dull at first, players can find themselves quickly falling into routine. The simplicity of Henry’s life is what makes him so relatable. He serves as the perfect surrogate for the audience where we’re often just as confused and new to the experience as he is. And just as players start getting settled into the day to day life of a blacksmith’s son, Henry’s life is all but destroyed when his town is ransacked by a group of unknown soldiers. From there Henry sets off to explore a huge world that is overflowing with war and political turmoil. This background forms the crux of the leveling and skill system, one where players learn by doing. Anyone familiar with Morrowind or Oblivion will feel right at home where players gain skills for the abilities they use. Every arrow fired helps Henry develop his archery while every argument won helps hone his speech. It’s a system that makes skill gains feel genuine and with purpose, allowing the game to adapt to a player’s playstyle. The system helps the players to feel like Henry is learning naturally the more he practices, growing his skills over time the more they’re used. Leveling this way comes as a refreshing change of pace when compared to more traditional RPG’s where players simply invest the appropriate number of skill points in their desired stats. As a result, players can worry less about specific builds or min-maxing their approach and can instead become more immersed in just playing the game, and that is one of the biggest draws to Kingdom Come, immersion. One of the most engrossing aspects of Kingdom Come is how many layers work together to fully immerse players into day to day medieval life. Everything from the food they eat to the clothes they wear can and will have an impact on how players interact with the world. Clean Henry up and bathe so nobles are more likely to treat him with a bit of dignity; make a threat on someone’s life while Henry is covered in blood and grime and they’re far more likely to take him seriously. Eat too much and Henry can become overfed and sluggish, while not eating enough will leave him malnourished. The best feature of Kingdom Come is also the one that bogs it down at times, with the game sometimes being a little too unforgiving for unsuspecting players. Combat is difficult, and rarely will players feel like they have a clear advantage. A simple brawl in town with some thugs can feel life threatening if players haven’t gotten used to fights, even more so when they are facing down four or five armed soldiers. The save system can also be unforgiving at times, with the game only autosaving periodically during important moments. The rest of the time it’s up to players to find a bed to sleep in and save. There is also A LOT of information for players to disseminate in the first few hours of Kingdom Come, with on screen prompts and tutorials that can feel cluttered and overwhelming at first (luckily those tutorials are one time things). Luckily most of these obstacles can be overcome as players become more familiar with the game and its systems. Almost every situation has more than one approach players can take, so if combat is overwhelming they can always try the charismatic or sneaking approach. If Henry finds himself outnumbered in an enemy camp he might decide to be crafty and poison their food, turning them into easy pickings after they’ve eaten their fill. If infrequent saves become a problem, players can always purchase a bottle of Savior Schnapps, a strong alcoholic beverage that will allow them to quick save at the expense of their sobriety. Players will find that almost any issue they encounter will always have a remedy, unless it’s a game breaking bug. Kingdom Come is a great concept with a lot of systems in place to make the experience as immersive as possible, but with so many systems its almost expected that some of them may break from time to time. At some point players may find themselves waiting for a rendezvous that never occurs simply because the pathing broke on someone they were supposed to meet. Other times the game may crash, or framerate suffer regardless of how low the settings are turned to. While I personally did not encounter these bugs as often as others have, when I did they were frustrating enough that I had to step away for a few moments. In one instance early into the game I found myself stuck in an endless loop while Henry waited on Bianca to meet him but she instead found herself stuck between exiting the tavern and serving a patron. And yet the frustration felt in these glitches is just a testament to how engrossing the gameplay itself is. Sure players can get angry at losing a few hours of gameplay because of the save system, but with that comes the realization that they effortlessly invested those hours into a game without consideration of whether they had saved or not. 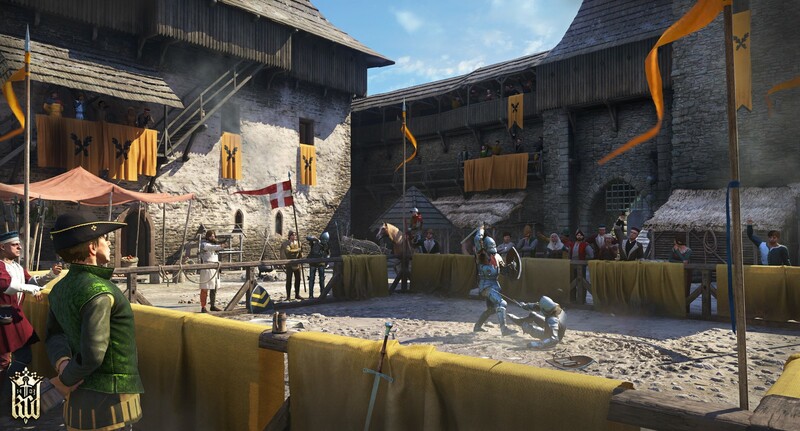 Kingdom Come: Deliverance isn’t a perfect game and it’s more than a little rough around the edges, but its flaws can be overlooked in favor of how well the game works (that is, when it works) and how genuinely fun it is. 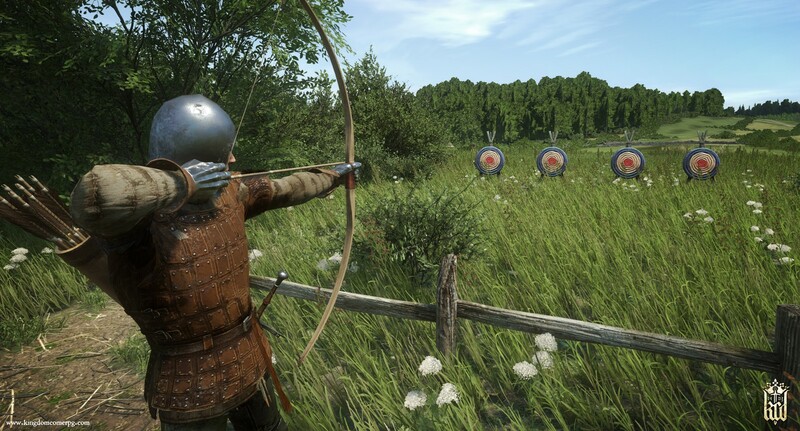 Coming from a fan of more traditional fantasy RPG’s, Kingdom Come: Deliverance can definitely stand alongside the Skyrim’s and Fallout’s of this generation. While definitely rough around the edges, Kingdom Come has more than enough going for it to overlook some frustrating bugs. Enrique is a big fan of the 3 C’s: Corgis, Coffee and Geek Culture. Whether its writing, gaming or podcasting, Enrique is ready to share his opinion and pictures of his dog at a moment’s notice.